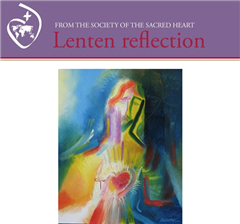 The Associated Alumnae and Alumni of the Sacred Heart (AASH) is a non-profit organization of all alumnae and alumni of present and former schools and colleges directly associated with the Religious of the Sacred Heart in the United States and parts of Canada. The purpose of AASH is to foster a spirit of unity and ongoing communication among alumnae and alumni and their respective associations throughout this nation and the world. AASH commits itself to nurturing in its members dedication to faith development, intellectual values, respect for personal integrity, community and social service, and the unique philosophy of life that is rooted in the Christian vision of St. Madeleine Sophie Barat. AASH hosts regional conference and events. More information can be found on their website. Association Mondiale des Anciennes et Anciens du Sacré-Coeur (AMASC) is a unique worldwide organization of alumnae and alumni who share the privilege of receiving an education based on the love of God and of one another. The International Association of Alumnae and Alumni of Sacred Heart meets every four years in a World Congress. XVI AMASC World Congress will be held in 2018 in Mérida, Yucatán MEXICO. We will share further details as we get closer to the date. Stay connected and learn about upcoming conferences and events on their Facebook page.